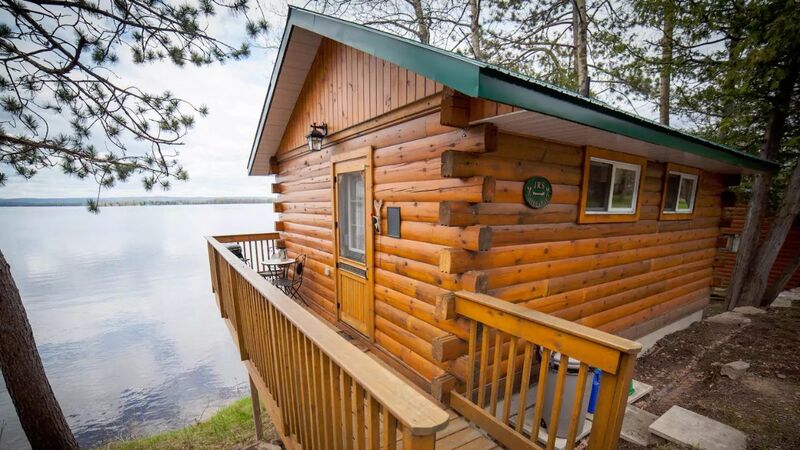 This lakefront cottage getaway has everything you could dream of in a rustic retreat. 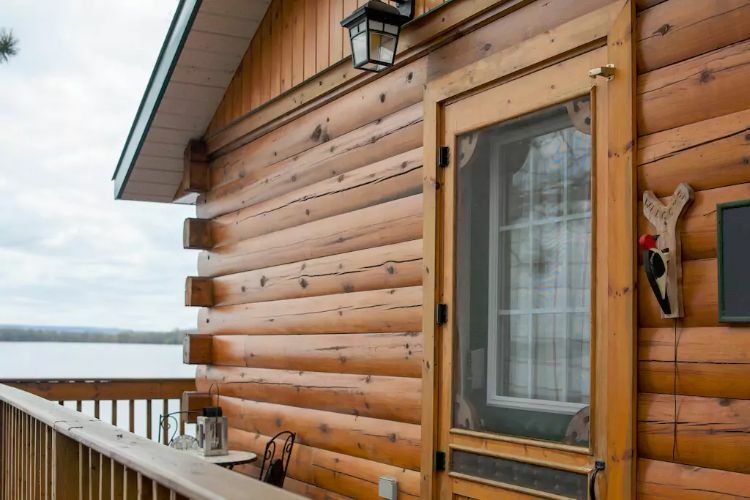 The rugged, no-nonsense cabin has a fantastic location overlooking Golden Lake in Ontario, Canada, with easy access to the precious nature of the Ottawa Valley; an area known for its pristine lakes and rivers, and abundant woodlands and forests. 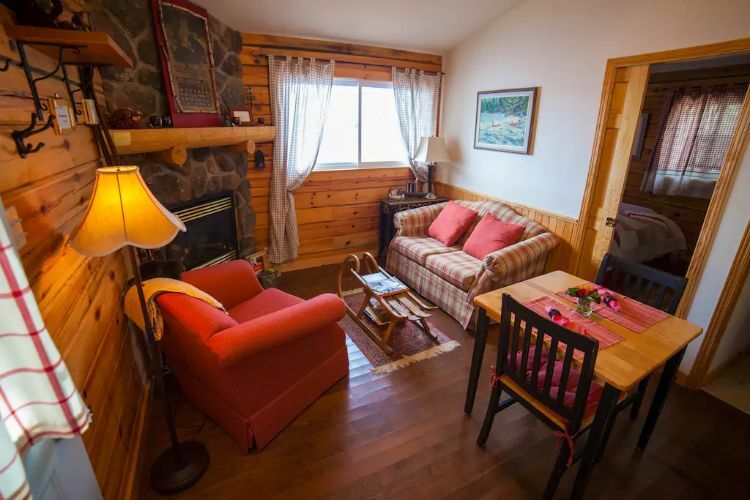 While the cabin boasts a spectacular location, the interior has a vibrant, colorful tone which gives the home its own individual character. 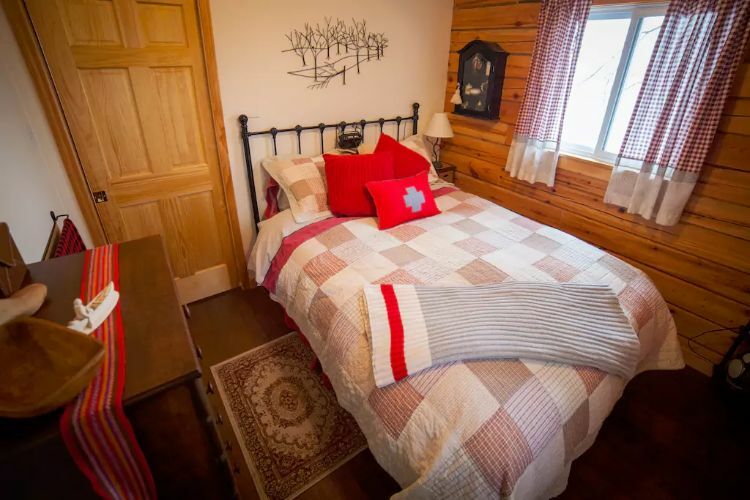 Listed on Airbnb, this ample-sized one-bedroom cabin is ideal for a romantic weekend for two. 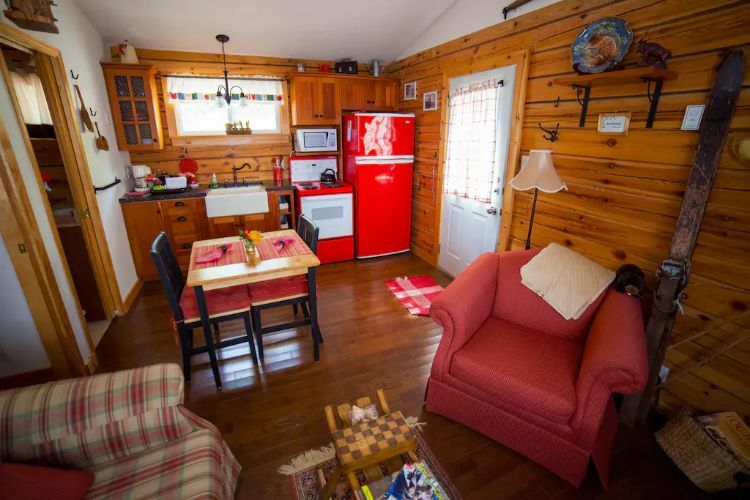 Inside the cabin, we discover a cozy floor plan which will be easy to heat. The main living space is open between the kitchen, dining area, and sitting room. The sitting area has a charming stone fireplace which will become the inviting centerpiece of the home at night. 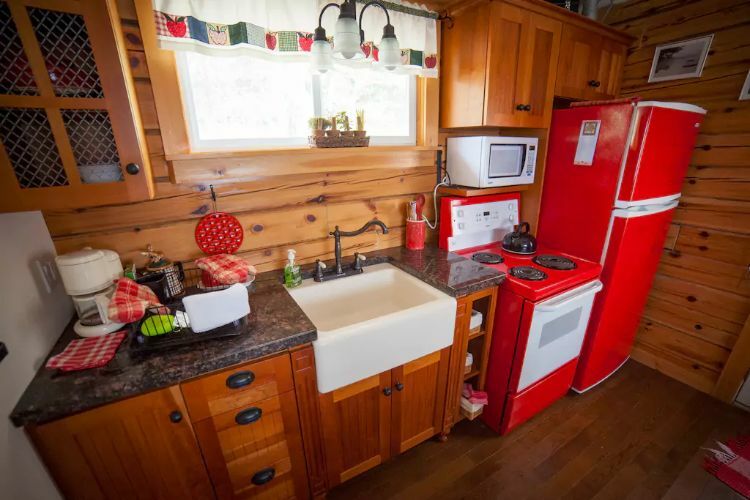 The kitchen is really brought to life by the vivid cherry red appliances. The granite counter, farm sink, and robust cabinetry show a mark of high quality. 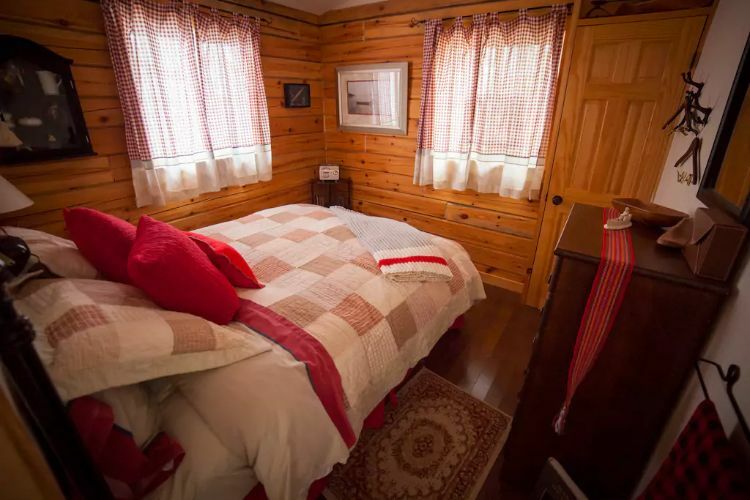 The cabin has a single bedroom, which is an ideal sleeping chamber for two. The queen-sized bed provides a comfortable night's sleep, while the large windows allow you to gently wake with the morning light. 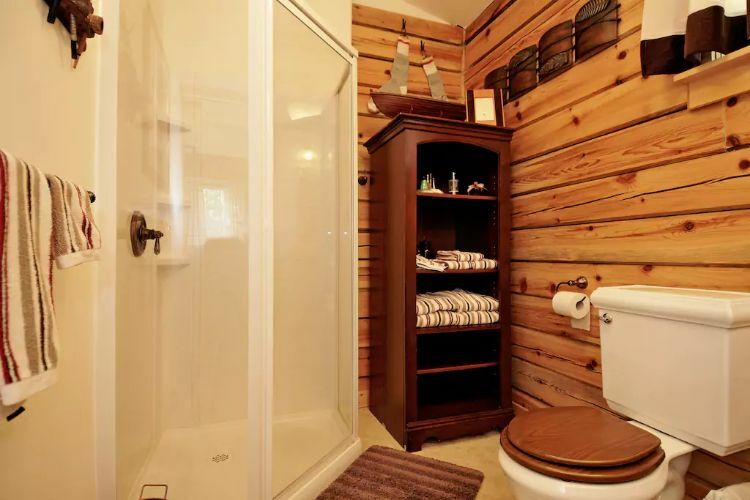 The spacious bathroom is furnished to high standards, including a large walk-in shower. 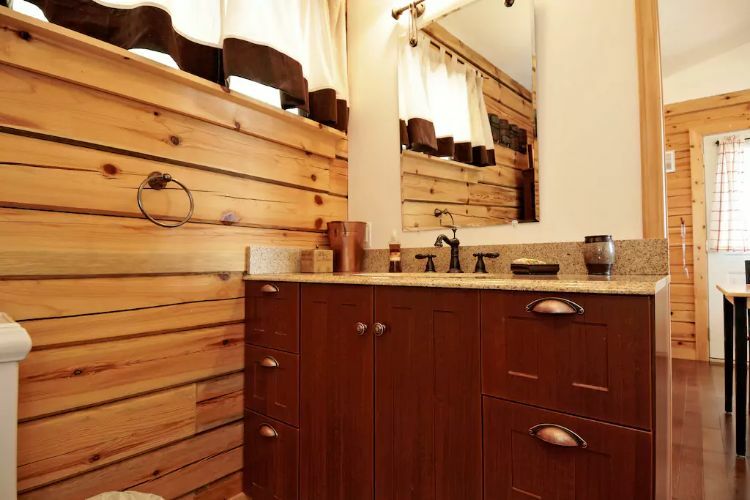 The house shows the signs of high-quality craftsmanship throughout, including this granite-countered bathroom cabinet. 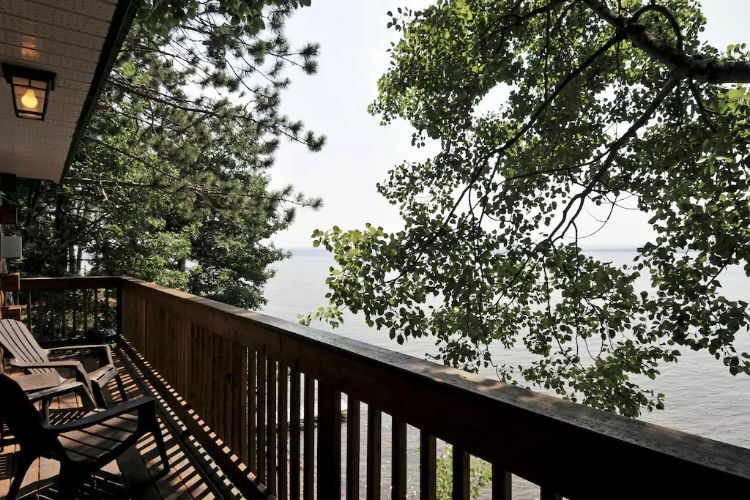 The deck area sweeps around the lakeside of the house. It has a small furniture set for idyllic morning coffee. 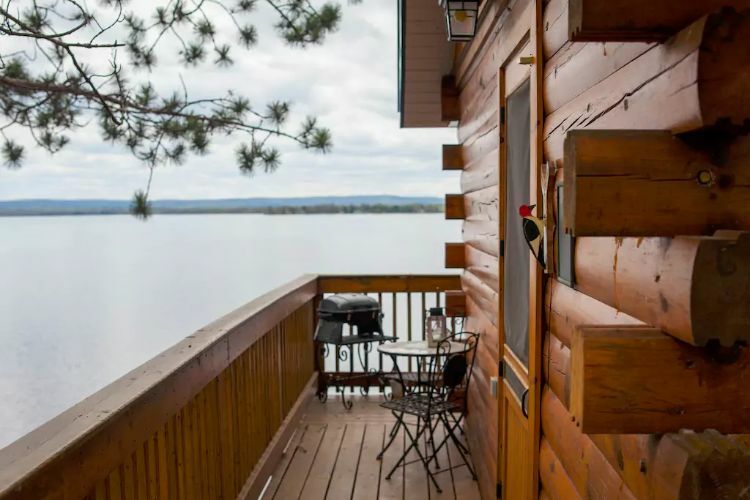 The deck area on the lakeside has an outstanding view over the water. 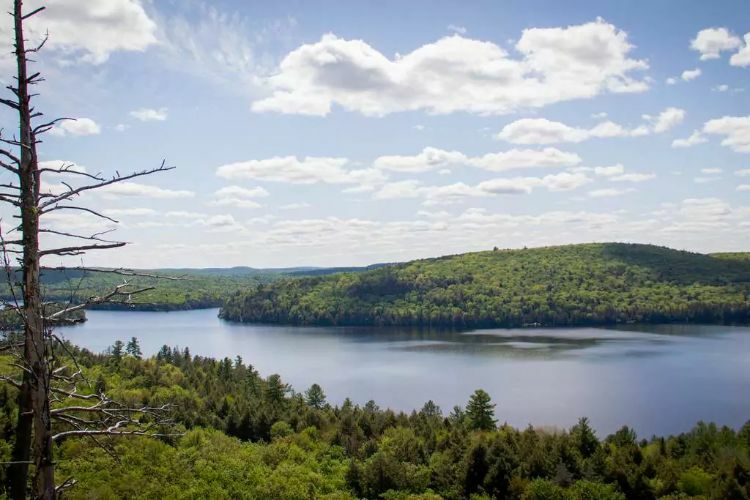 Golden Lake and the Ottawa Valley! SHARE this tour with your friends on Facebook!